Last week we had a great time with Senator Aaron Bean as our guest speaker. Instead of a traditional talk, Senator Bean hosted a high energy trivia contest with our members and guests. It’s always a lot of fun and it’s a great way to close out the year. 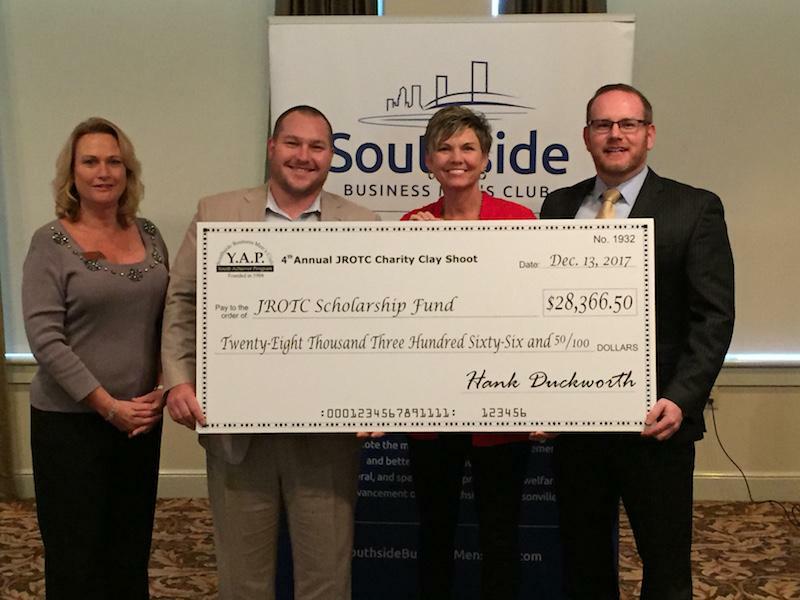 It was a joy to present the official check for the JROTC Scholarship Fund in the amount of $28,366.50! This money was raised through our annual Clay Shoot charity event. Kudos to our chairmen and the committee for all their hard work! Please remember we have no Wednesday meetings on December 20 & 27. I hope each of you enjoy time with your family and friends during this holiday season. Our next meeting will be on January 3rd and we’ll install our new officers and board at that time.